But Democrats say his format plays to a strength that Mitt Romney cannot match. WASHINGTON – Relentless GOP criticism of a 12-day-old remark about business owners has taken a campaign toll on President Obama, forcing him to defend himself and giving Republican Mitt Romney a break from steady attacks. The development has delighted Republicans, who were eager to shift the campaign focus from Romney’s tax returns, overseas assets and Bain Capital record. Acknowledging that the Republican’s criticisms were hitting a mark, Obama’s team rolled out two new TV ads this week in which he employed for the first time what many Democrats consider a powerful tool: the president talking directly into the camera and countering GOP claims. “Those ads taking my words about small business out of context — they’re flat-out wrong,” Obama says in the newest ad. Democrats say the “direct-to-camera” format plays to the president’s strength, and they don’t think Romney can match it. 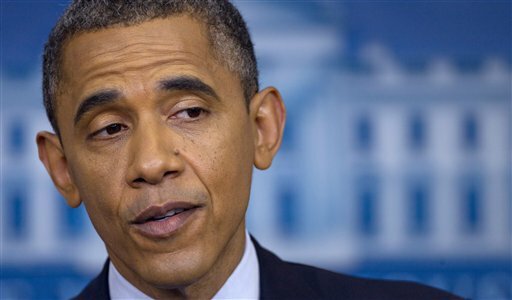 Democrats hope Obama’s response will help him move past the flap about business owners. But Romney aides kept up the pressure Wednesday, sponsoring 24 events on the topic while Romney was overseas. Democratic strategists acknowledged Wednesday that Obama was being hurt, at least a little, by Romney’s repeated jabs at comments the president made in Virginia on July 13, which originally drew little notice. Most GOP attacks ignored the broader context of the speech. In it, Obama discussed a favorite theme: the claim that government-assisted infrastructure including roads, research and schools help sustain society, including private enterprise. Romney and his allies have used the quote in countless ads, videos and statements, painting Obama as contemptuous of hard-working entrepreneurs and business owners. It’s a presidential topic so familiar that few reporters or Obama critics took note of the specific remarks for a few days. Democrats responded cautiously at first. Later, aides began saying Obama’s “that” referred to the infrastructure he cited elsewhere in the speech. Still, Obama and his advisers realized the attacks were starting to hurt, and they filmed the 30-second response ad in the White House chief of staff’s office on Saturday.